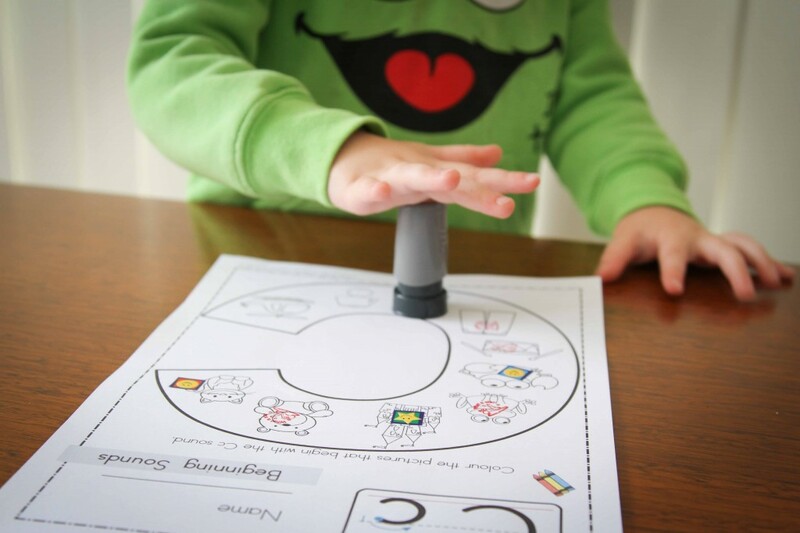 It’s our third week into our Preschool Letter of the Week and Filip is now quite familiar with the activities and worksheets we do. 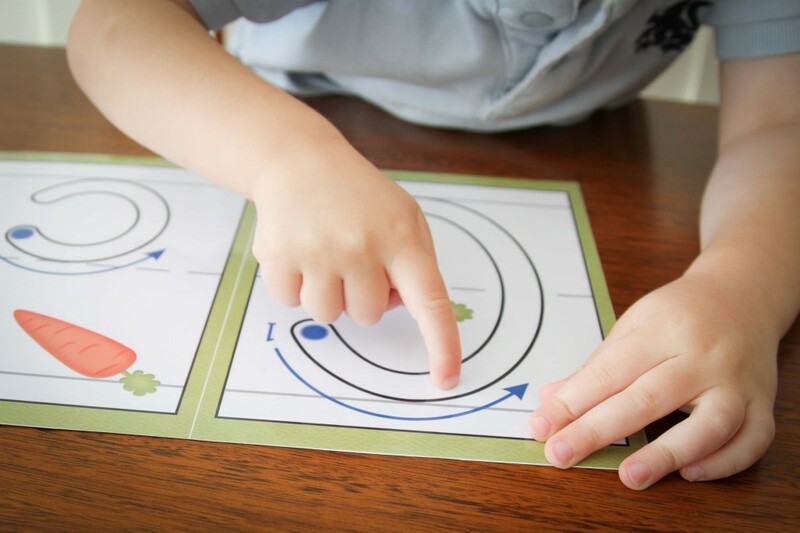 I like that he is able to do some of the activities independently, and I’m sure he likes that fact that I don’t have to explain too much anymore 🙂 However, to ensure that he does not get bored, I will add new things every now and then. 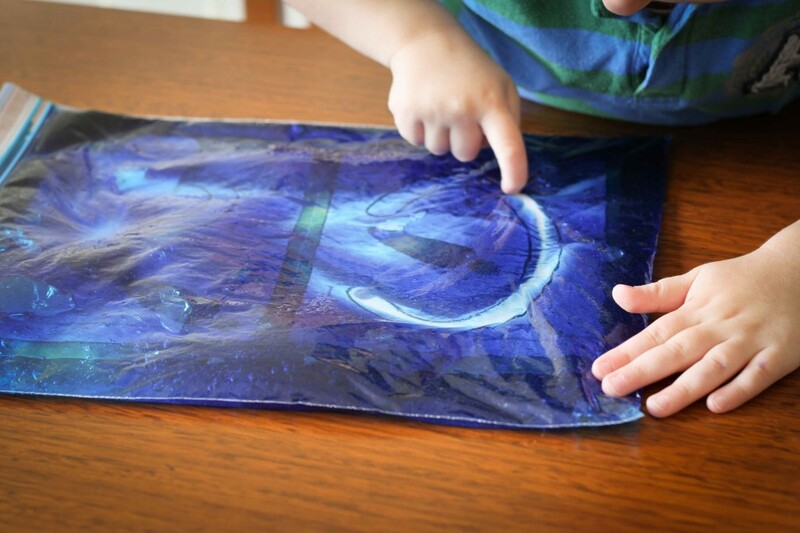 Next, he finger traced the Letter C Alphabet Play Dough Mat. 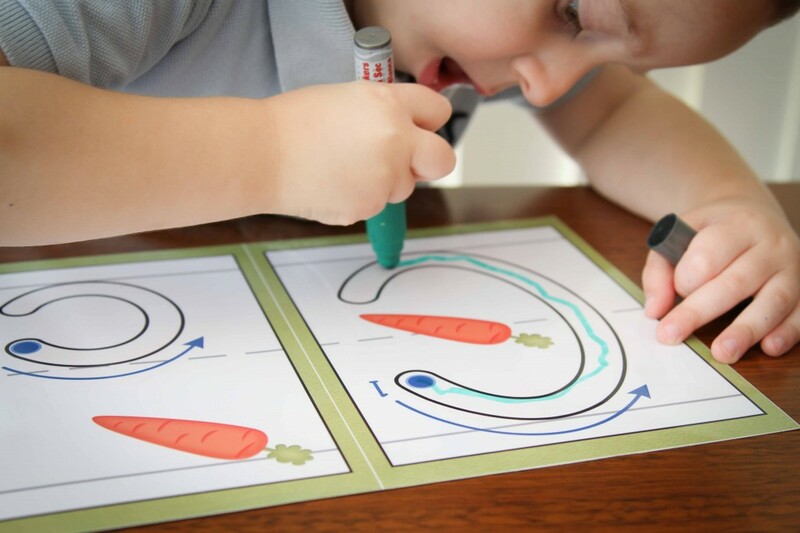 He knew straight away to look for the dot that indicates the starting place for writing the letter. 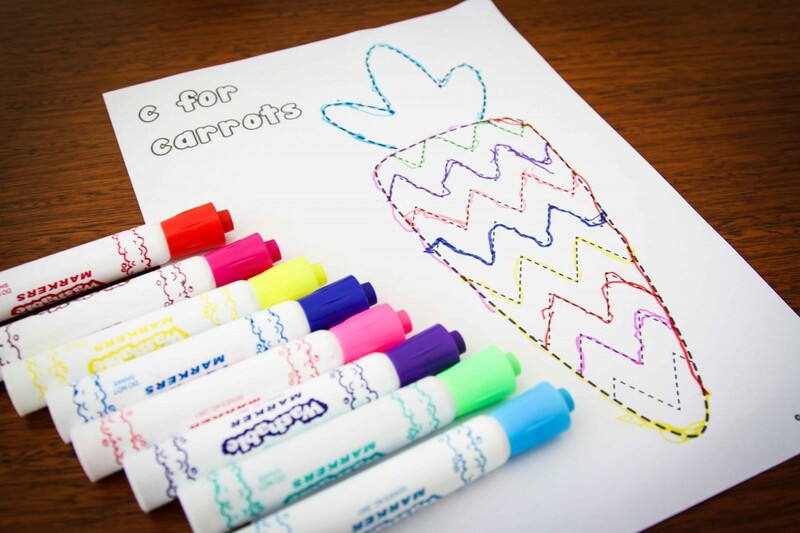 Then he traced over the letter with white board markers. 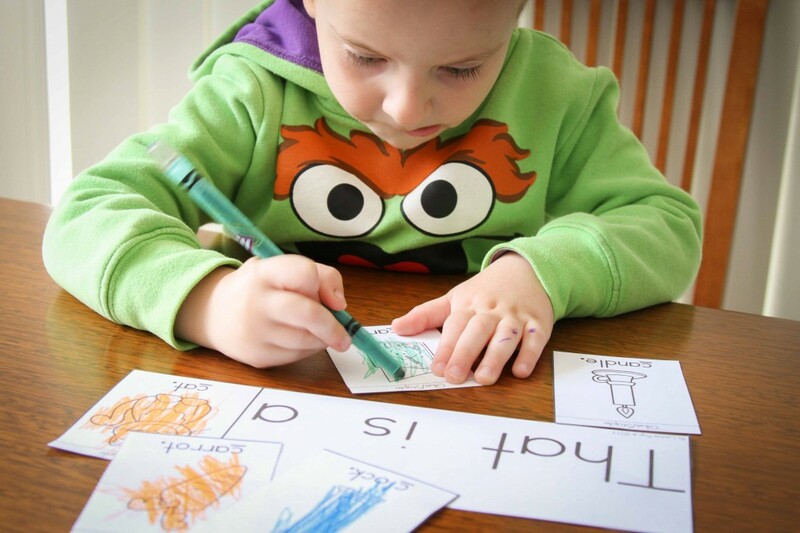 He continued with an uppercase and lowercase letter recognition worksheet. 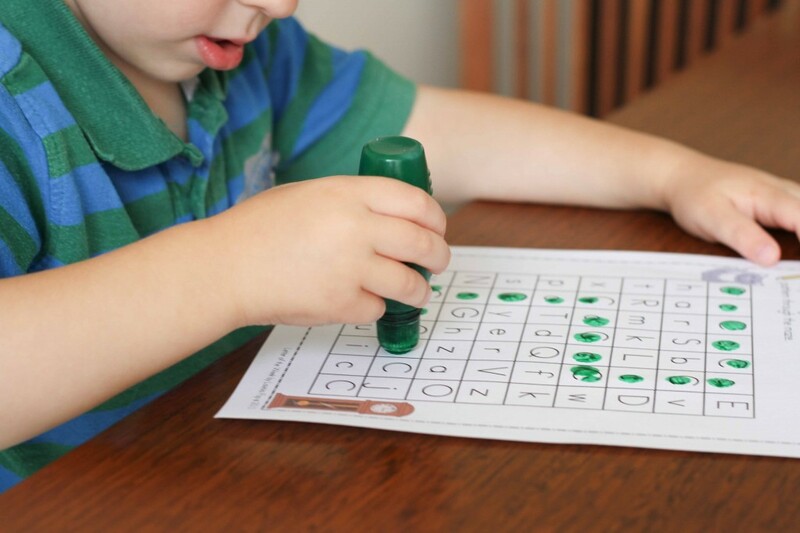 He selected a couple of bingo markers/dabbers to “dot paint” the letters with, and he worked independently on this. 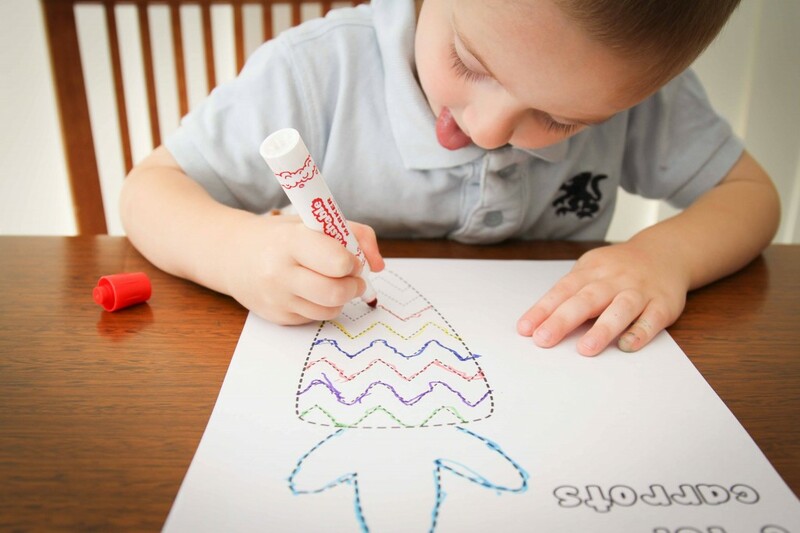 I showed him the pre-writing practice sheets (From the Pond) and was about to ask whether he wanted to use glue and glitter again this week, but before I got a chance to say anything, he took out his “smelly textas” (fruit-scented, in other words) and got to work right away. Yay! It took him a while to get it done, but he happily persevered and here is the end result! Filip asked for some more school work and I had this printed out from a while ago, so I let him beautify it with some water colours. You can get a copy of it here! 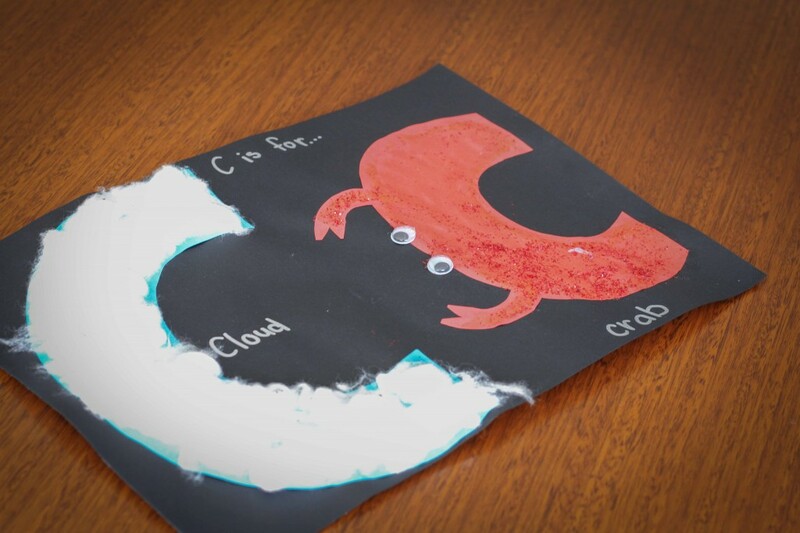 We also did our Letter of the Week craft: clouds for the uppercase c using cotton balls and a crab with 2 googly eyes for the lowercase c. If you’d like a template for uppercase and lowercase c, you can get it here. I don’t know the correct name for this activity, but we called it our “Pin Board”. I wrote a letter c on the pin board, and then Filip pushed the pins in through the tiny holes to form the letter. 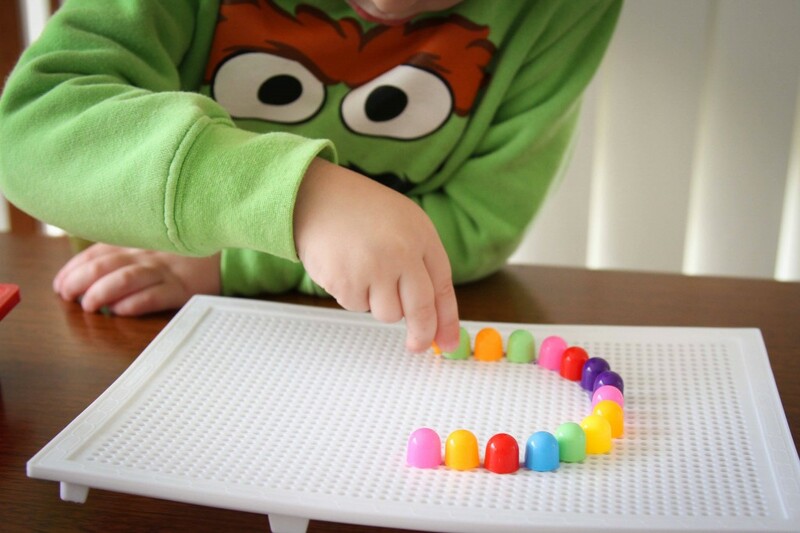 I like this activity for him as it also works on fine motor skills. We swapped out our vocabulary cards this week and used my Beginning Sounds Scoops. 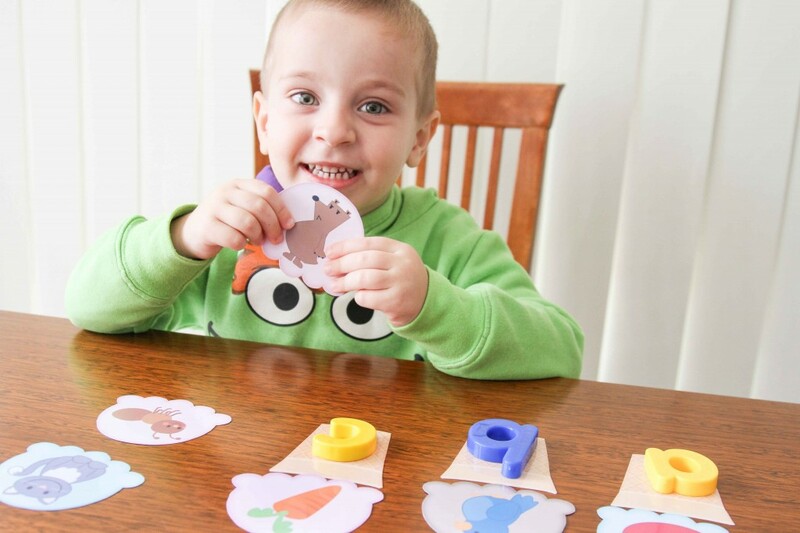 Download the sample from my TpT store here to get the picture scoops for Letters A, B, C, D and cut and paste worksheets for them. 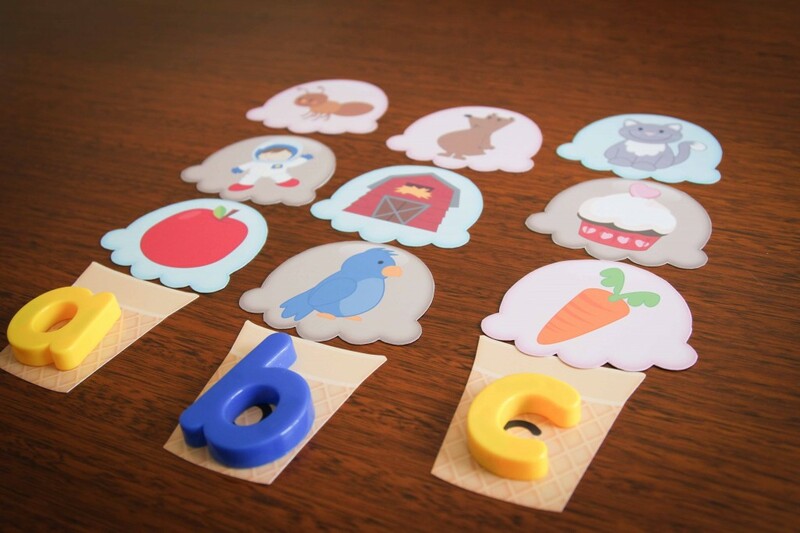 Filip liked working with these more than the vocabulary cards we used previously… possibly because they are much prettier but also because sorting out 3 cards per letter sound is more manageable. 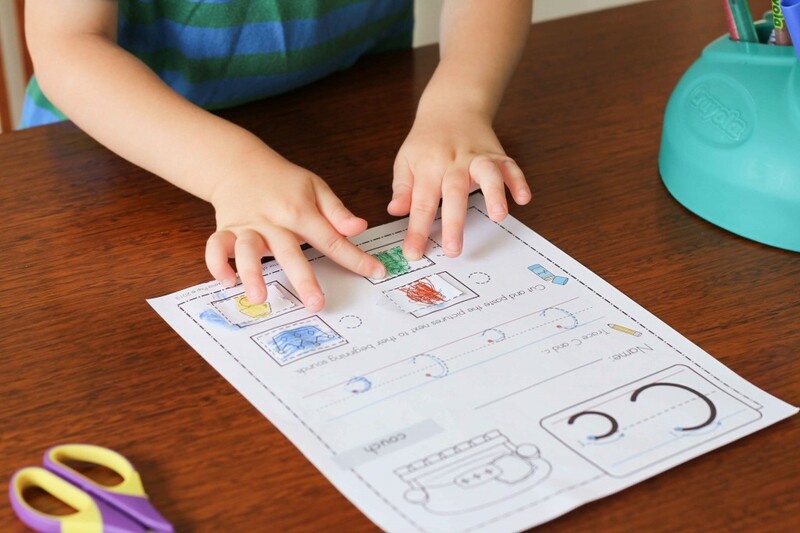 We also did a beginning sounds worksheet. He put stickers on the pictures that started with C, and stamped the rest. And then it came time for the flip book. He LOVES making this so much, he even colours the pictures! I think what motivates him to make these booklets is because he loves reading them to Sam after he comes home from work. 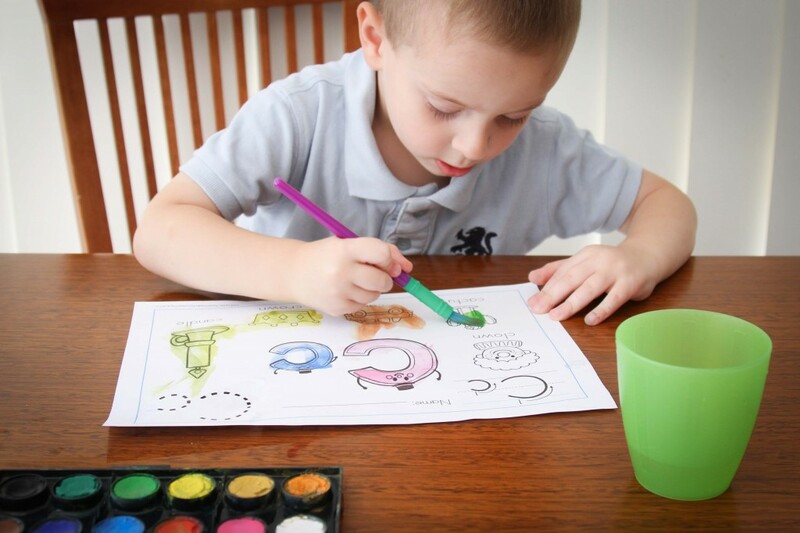 Here is a photo of him, colouring away! After it was assembled, we read it together a few times. Then he attempted to read it by himself and point to each word as he read. It was right here that I realised he needs to work on 1-to-1 correspondence… He pointed at every letter in the word “That” and read the whole introductory sentence in the first three letters! 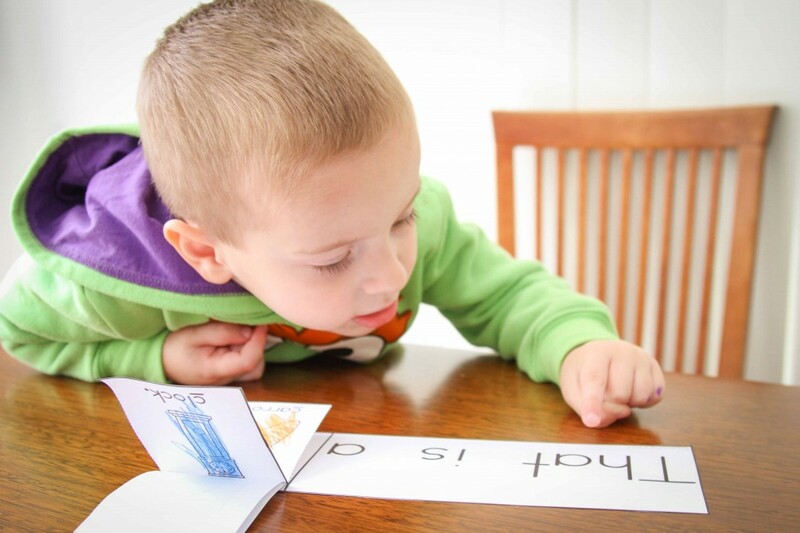 Of course, we are not learning sight words, so I don’t mind if he doesn’t remember the words from the book: our focus is on letter sounds at this point in time. But I will definitely have to figure out a fun way to teach him to point to each WORD when he is reading! He played the Alphabet Find It game with Cami this week. 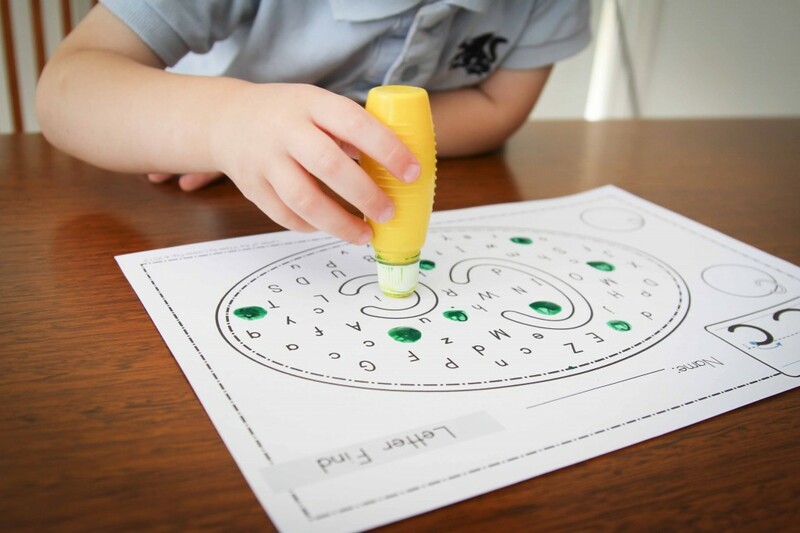 Then he did an Alphabet Maze worksheet and actually followed the C-c-C-c pattern this time! Yay! 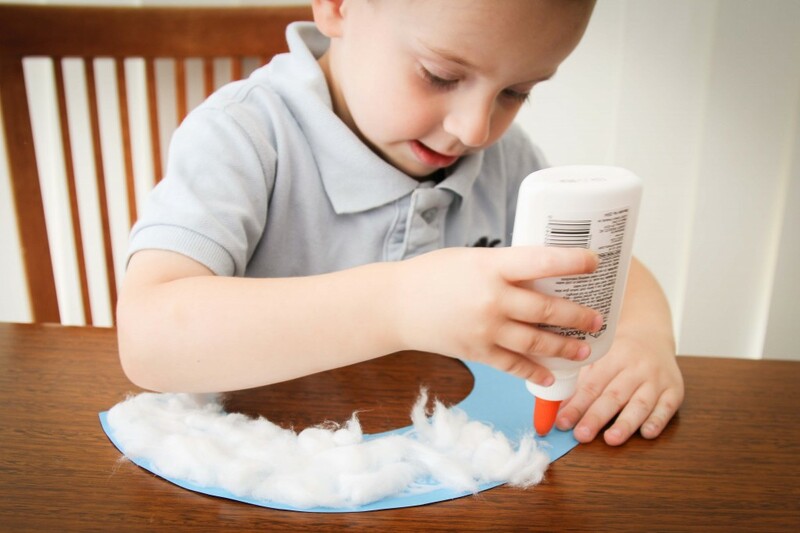 He did a Q-Tip Letter page, but this time I suggested he use these sticker gems instead of painting with a Q-Tip. Here is a photo of him carefully working away. And here is his work for the week which he presented to Sam on Friday. Dear Lavinia, I am teacher from Croatia and love your your worksheet and your blog! Thank you for sharing your ideas with as! Hi Lavinia, so glad I can look at your blog again, it’s fabulous, love watching what you and Filip get up to during the week! 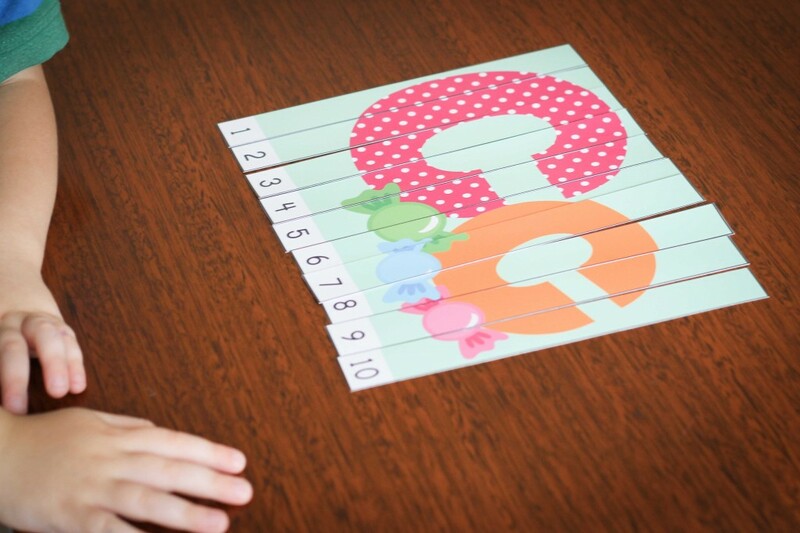 Thank you for providing the downloads of the alphabet counting mats, love the idea you used in one of the later ones with the magnets, was thinking about a cut and paste exercise for Ollie, but the magnets are awesome! OMG! Love it. 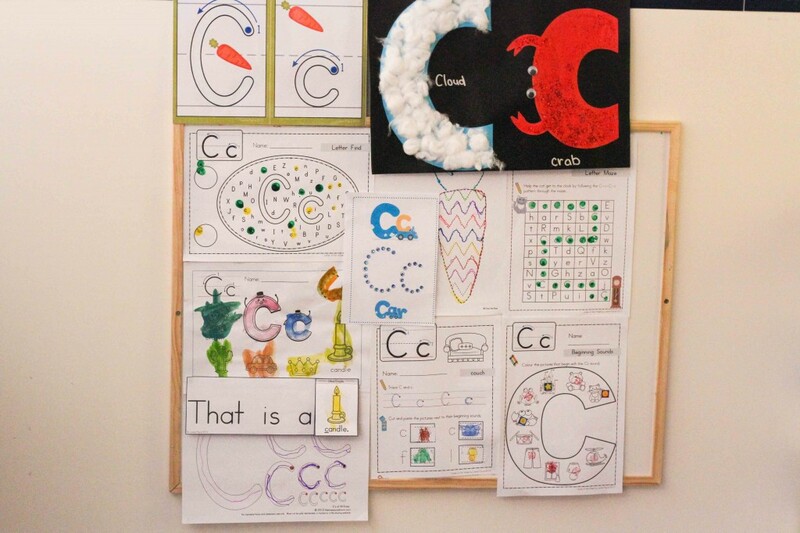 I was looking for ideas for my students for the letter C and love every one of this ideas. Thank you for sharing. Thank you very much for sharing! All these materials are well done and inspirational. Great job!!! You are such a dedicated mom! 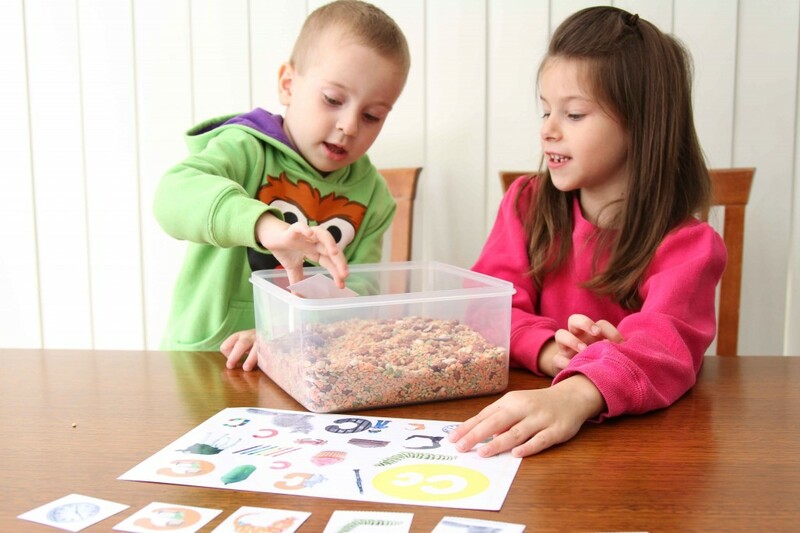 Seeing you work with your little one and preparing your own material is very inspiring. 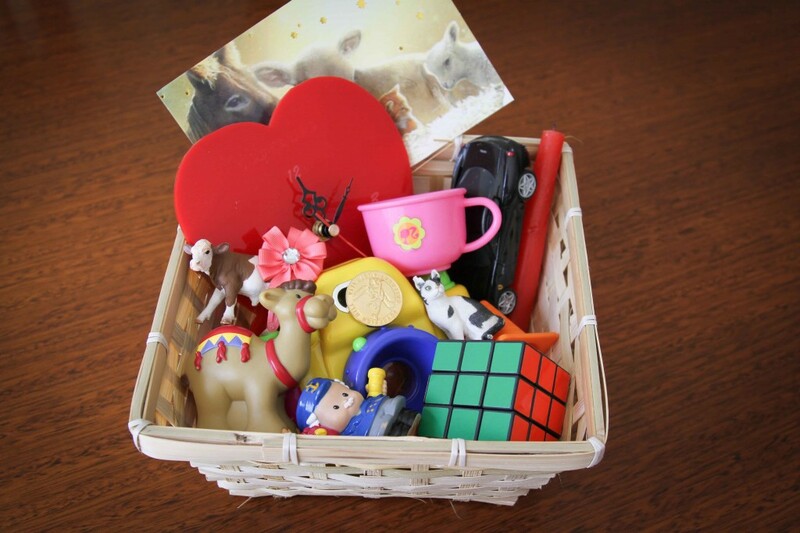 Your son surely enjoys it and you keep it interesting by providing different activities. Thank you for sharing! Taking the time to post his progress on top of the hard work you do is truly remarkable.